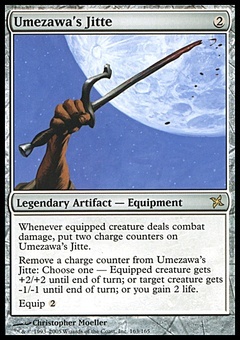 Cultivate ($0.99) Price History from major stores - Commander - MTGPrice.com Values for Ebay, Amazon and hobby stores! 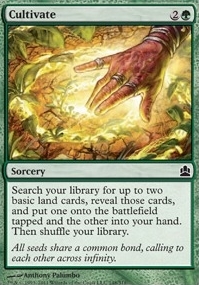 Card Text: Search your library for up to two basic land cards, reveal those cards, and put one onto the battlefield tapped and the other into your hand. Then shuffle your library. 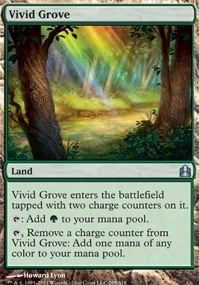 Flavor Text: All seeds share a common bond, calling to each other across infinity.